Open daily from August-September. Immerse yourself in blooms and color. Fresh cut flowers available July to September. Annual Dahlia Festival the last weekend in August and Labor Day weekend. 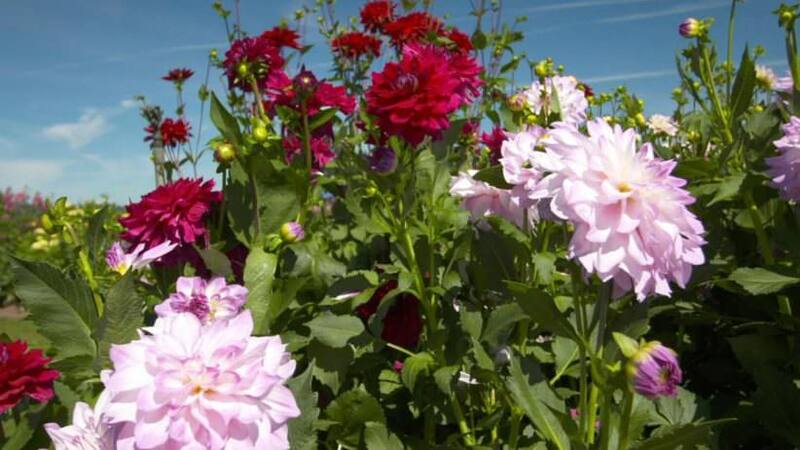 Walk the breath-taking gardens of 40 acres of blooming dahlias, sampler display garden, Koi fish pond in the shade (view 15,000 blooms featured in 350 floral arrangements during the festival), foods and beverage available, cut flowers and tubers for sale.